Living in the city, most of us feel the need to go out into the wide open and explore the beautiful countryside. Breathe some fresh air and maybe get a glimpse of life on the other side of the fence. Well, here’s an attempt to connect folks like us to rural India and hopefully they can provide a platform to those who want to venture into unexplored parts outside of Bangalore city. Called Rural Zing, their aim is to be “an Initiative to connect urban and rural economy”. 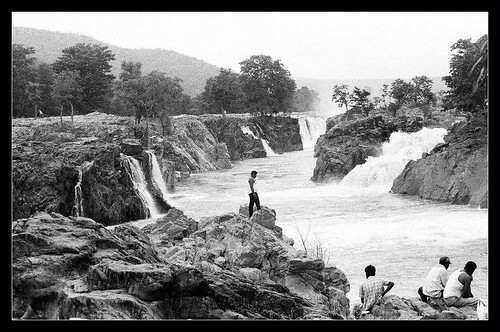 We started a little late and reached at a time when the rest of Tamil Nadu (and Karnataka) also decided to pay a visit to this famous falls. Sultanpet is on the Nandi Hills route and about 50-60 kms away towards the North. Instead of the left diversion to Nandi Hills, you need to take a right and continue along the road. 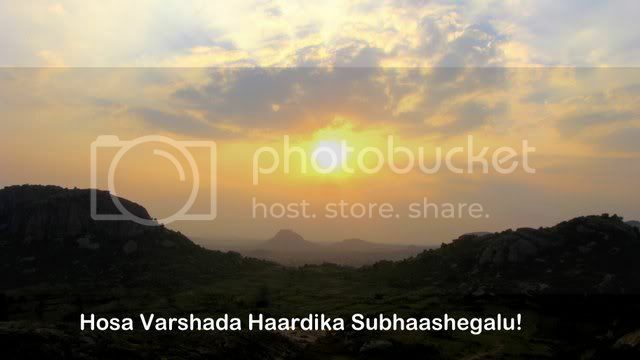 There is also the Bhoga Nandeshwari temple there. And a little ahead is Sultanpet where there is a famous cemetery – all from the time of Tipu Sultan. While on a drive to that area, we found a a few potters here hard at work early morning and spend some time around their work area and the adjacent building where they stored the pots. 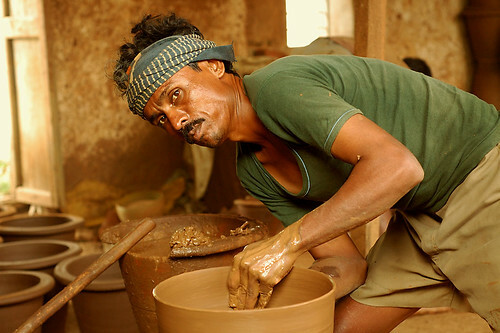 Apparently, their pots go to both Bangalore and places in Andhra Pradesh.